The Namaste France festival is giving the French a chance to witness deep-rooted traditions and cultural practices from India. India and France have shared a friendly relationship since ages and Namaste France festival aims to enhance that friendship amongst these two very different nations. This cultural festival will showcase a vast majority of art forms including some of the best Indian traditional art pieces, music, dance, theatre, literature, cinema and fashion. The festival was inaugurated on 15th September, 2016, and is to go on for two-and-a-half months. It is organised by Embassy of India, Paris, with the support of Indian Council for Cultural Relations (ICCR), New Delhi. 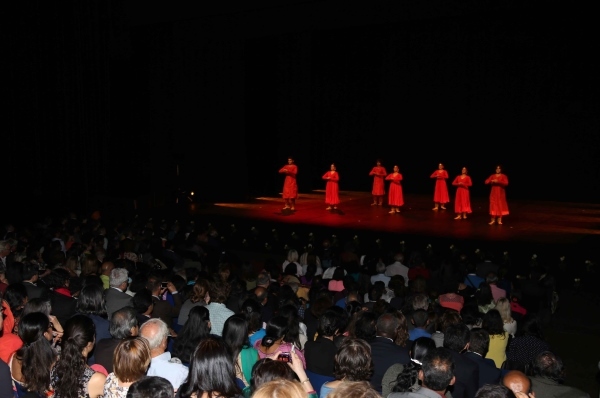 The festival was inaugurated by His Excellency, Dr. Mohan Kumar, Ambassador of India to France, at the reputed La Villette in Paris. 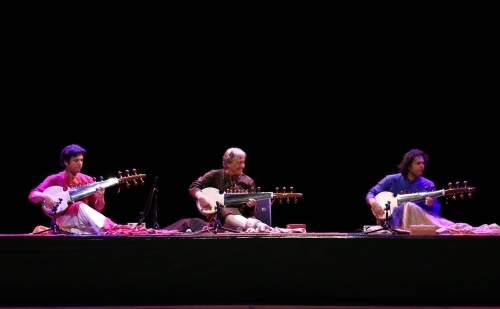 Sarod maestro Ustad Amjad Ali Khan along with his sons Amaan and Ayaan Ali Bangash, and Kathak exponent Kumudini Lakhia and her troupe, were some of the big names to perform at the inaugural event. A quality crowd of more than 2000 attended the opening ceremony including some prominent names from ICCR and representatives of the French Government, Senators, Deputies, VIP personalities and their friends. The entire crowd was fascinated and left in awe with the visual grandeur of this inaugural event. This festival hopes to further enhance business, political and cultural relations between the two countries. More than 70 events representing India’s rich civilization and cultural heritage will be organised all over France. The exhibition will take place at some of the major cities in the French province such as Paris, Strasbourg, Nice, Nantes, Marseille, Lyon, Aix-en-Provence, Saint-Tropez, Tourcoing, etc. Some overseas territories such as Guadeloupe, Martinique, St. Martin and the Reunion Island will also get a chance to witness the visually stunning and rich cultural heritage of the Indian art forms. 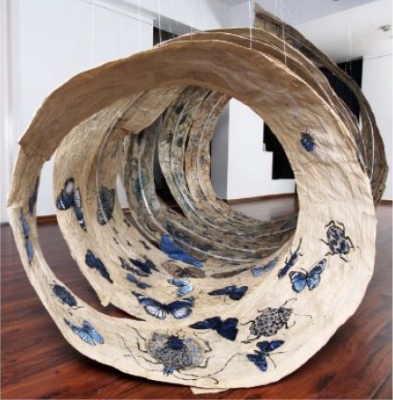 Cocoon by Jayashree Chakravarty, whose solo exhibition in collaboration with the Kiran Nadar Museum of Art, is on till 15th February, 2017 at Musée Des Arts Asiatiques, Nice, as part of Namaste France. Namaste France will display some fine examples of Indian heritage in the fields of music, dance, theatre, cinema, art exhibitions, cuisine, spirituality, yoga and Ayurveda. This event will serve as a window through which people can learn more about Indian history and the varied art forms that belong to our country. All the events and the scale of the festival will also showcase the rapid transformation and modernisation of all Indian art forms. This rendezvous for the French with India’s rich history and cultural traditions will end on 30th November, 2016. Tagged Art, Culture, Indian Art, LifeSpice, The Good Life. Bookmark the permalink.